The air dam was manufactured by Freetech Plastics in Fremont, California for Dinan Corporation. 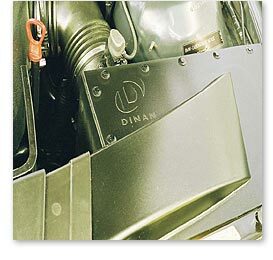 Dinan specializes in high performance products exclusively for BMW automobiles. Freetech Plastics manufactured the product utilizing twin sheet technology and Pennite 4508 thermoformable type 6 nylon sheet from ENSINGER Penn Fibre. Pennite 4508 was selected for its ability to withstand automotive fluids and the high temperature demand of the air dam. Pennite 4508 met all of the material specifications set forth by BMW. The twin sheet tooling was designed and constructed by Portage Casting & Mold of Portage, Wisconsin in under six weeks from the approved design.